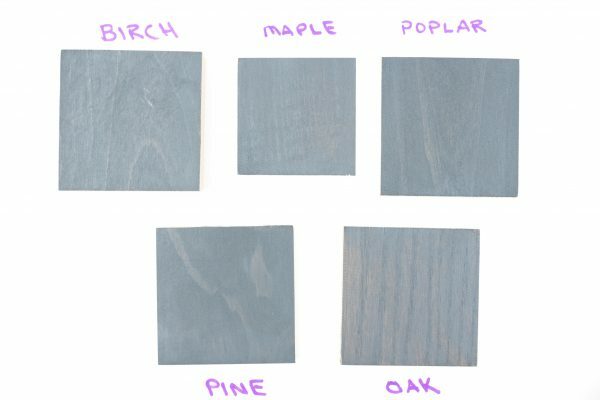 Grey Wood Stain Colors - Sample Showdown! Home » Woodworking » Grey Wood Stain Colors – Sample Showdown! 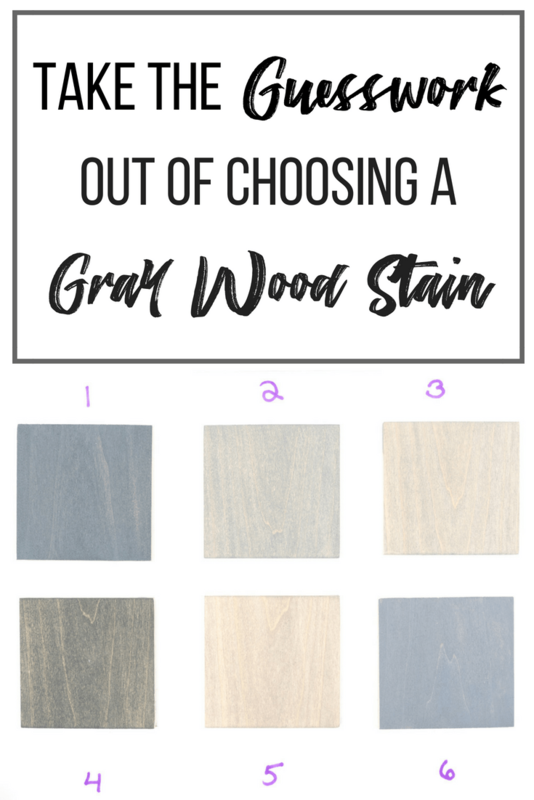 Grey Wood Stain Colors – Sample Showdown! 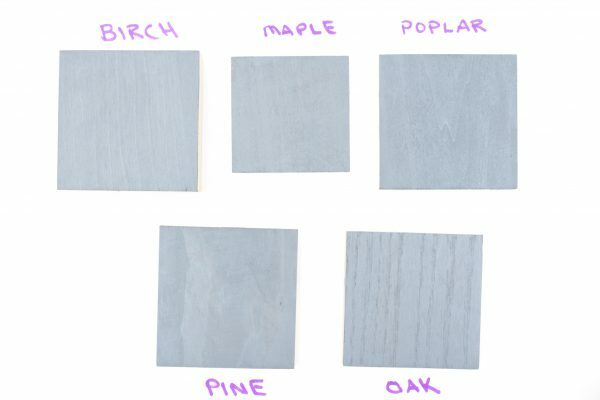 Looking for the perfect grey wood stain for your project? 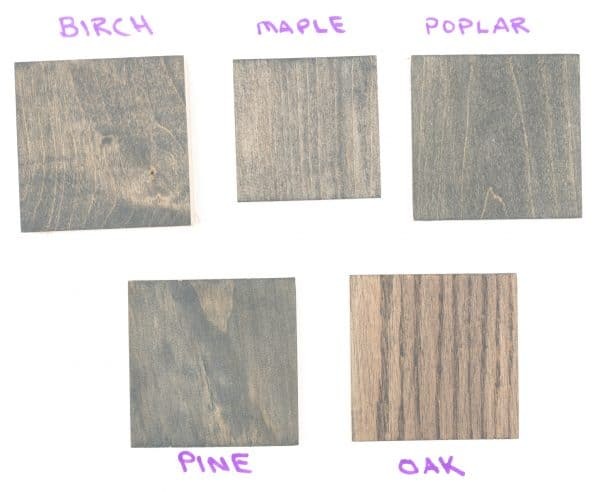 Check out this side by side comparison of six different grey wood stain colors to find your favorite! Gray is a hot color in home decor, but it’s difficult to find exactly the right shade. 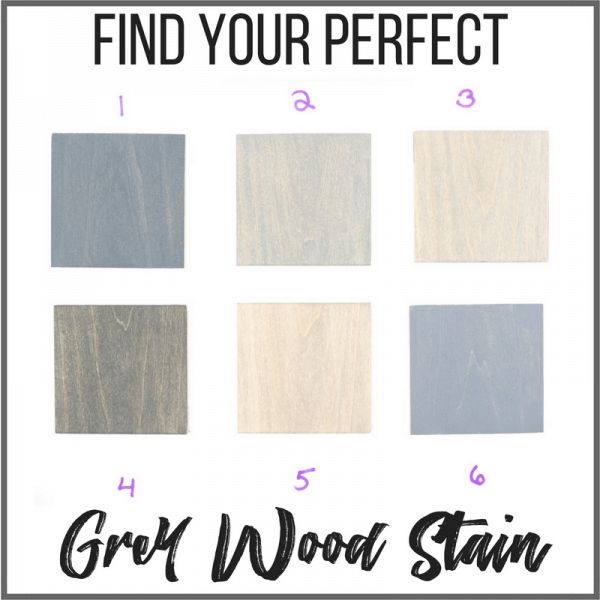 I’ve compared six grey wood stain colors you can easily find at the home improvement store or Amazon, and put them side by side on various wood species so you can see which one would work best for your project! Earlier this year, I refinished my dining table with my favorite grey wood stain, General Finishes Gray Gel stain. 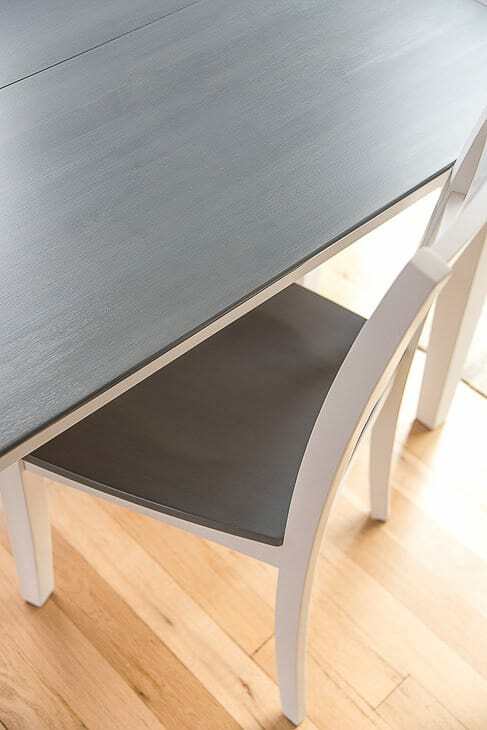 It looks amazing on maple wood, and really pops against the bright white of the table base. Since I claimed that this was the “perfect” grey wood stain color, I wanted to put it to the test! 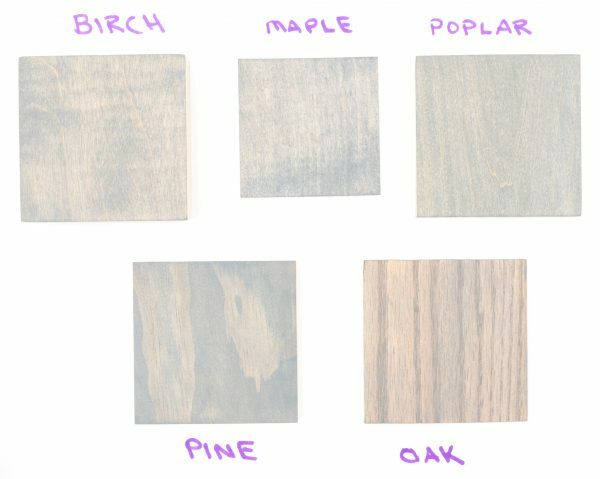 I tried out six different stains on five different wood species, so you can see how they look side by side. 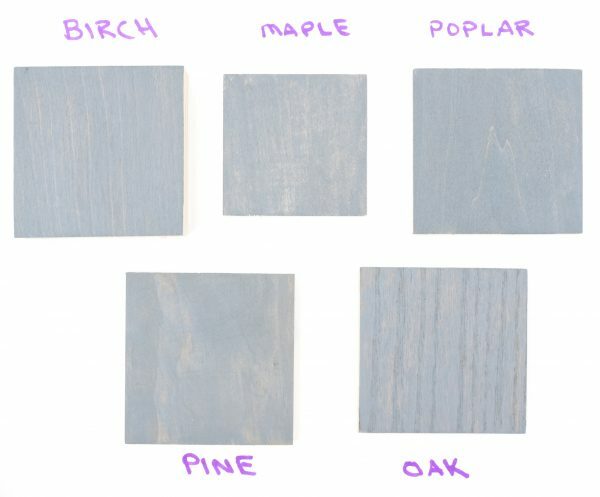 To see how some of these colors look on real furniture, check out these grey wood stain projects! I’ve sorted them by the stain used, so it’s easier to compare and contrast. Each sample has been photographed in the same lighting conditions against a white background without any color correction other than adjusting the white balance to be exactly the same for each photo. Each photo has the same camera settings. 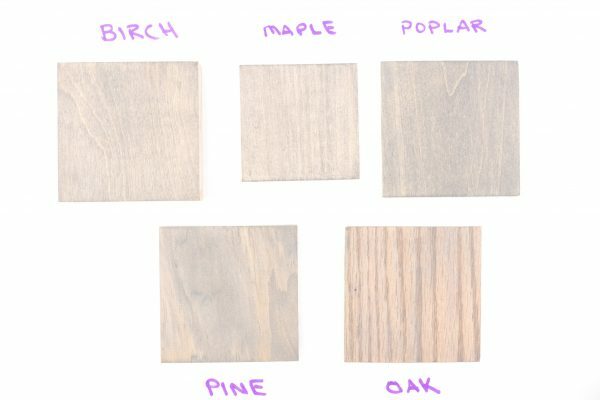 All the grey wood stain colors were tested on birch plywood, maple, poplar, pine, and oak. Each piece was sanded with 150 grit sandpaper, and was not treated with any kind of wood conditioner before applying the stain. I didn’t include any exterior stains or “weathering” treatments in this test, but I might do a second round in the future. 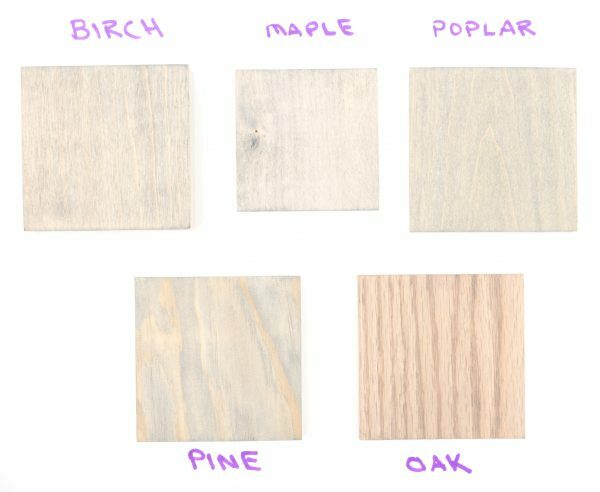 If you know of any grey wood stain colors that weren’t included here that you would like to see, just let me know in the comments! The differences between the grey wood stain colors became apparent quickly after the first coat. I left each one to soak in for exactly two minutes (I used the timer on my phone and everything!) Excess stain was then wiped off, and all the samples dried for 24 hours before photographing. The General Finishes grey wood stain is highly pigmented, so one coat of stain is all you need for most applications. It has a slightly blue tint to it, but the color is fairly consistent from one wood species to the next. 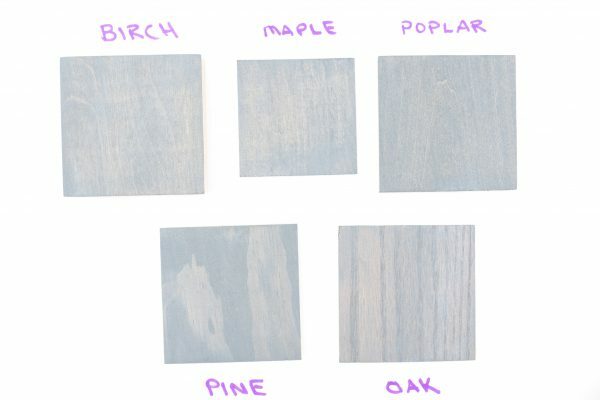 The grain of the wood is still visible on all the samples with one coat. The color of the Varathane Weathered Gray stain varied widely depending on the wood species. It barely soaked into the oak at all, but looked much darker on the maple. 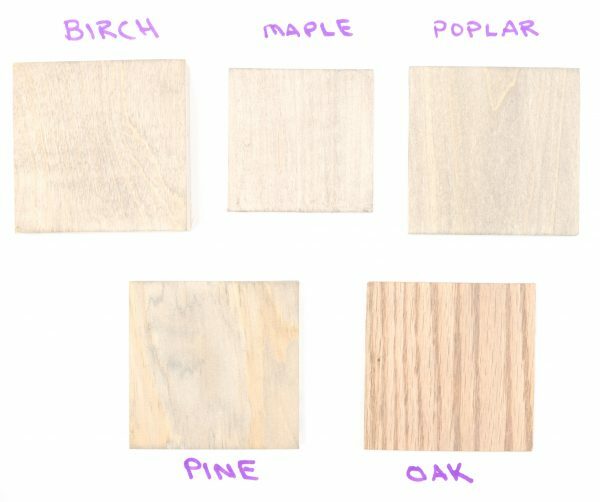 Pine and birch were both splotchy and inconsistent. Minwax Classic Gray came out very light. The color on the oak was nonexistent. Pine just looked dirty. The top three were a similar very light gray with slight blue undertones. 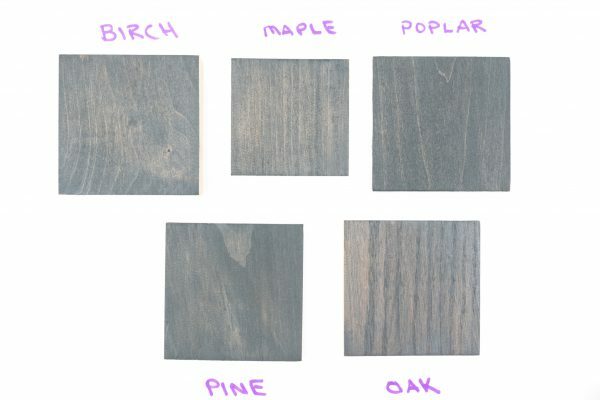 This grey wood stain color is more of a black/ebony than true gray. It gives the wood a greenish cast, which isn’t the best look. Otherwise known as, what stain? I could barely pick out the gray color in most of these samples. I don’t know if the can wasn’t stirred thoroughly enough or if that’s just how it looks with one coat. Much more pigmented than the other samples, although not quite as much as the General Finishes one. Slightly blue, but still a nice mid-toned gray. This one is my second favorite, especially if you’re short on time and only want to apply one coat. 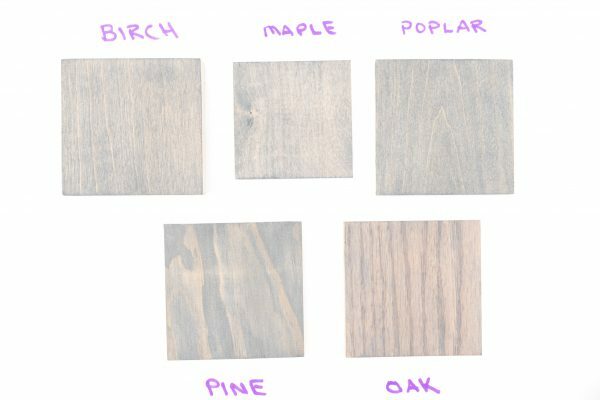 Different wood species take stain differently. I found it really helpful to see all the colors on the same species, so it’s easier to compare apples to apples. The numbers correspond to the stain colors listed above. The second coat of grey wood stain was applied a day after the first, and allowed to dry for over 24 hours before photographing. The same camera settings and lighting conditions were used. The coverage of this grey stain varies greatly by species. The top three have less pronounced grain lines, so the color looks fairly uniform. Pine still looks pretty splotchy, and oak has a zebra-like effect. Still more of a light black than a grey wood stain, although the color evened out and became less green-ish with a second coat. There’s still not a lot of color to this stain, even with two coats. This might be a good one to mix with another color to give it a bit of a gray. Like the General Finishes stain, this color becomes almost paint-like with two coats. The wood grain is still visible, but there’s little color variation. One coat should be fine for most applications. Creating all these color samples was actually pretty easy to do, and takes the guesswork out of staining. There’s nothing worse than hating the stain you chose and either painting over it or sanding it down and starting over! If I’m working with a new stain color or wood species, I plan to create samples like these first. So what’s the verdict? I stand by my declaration that General Finishes makes the best grey wood stain. 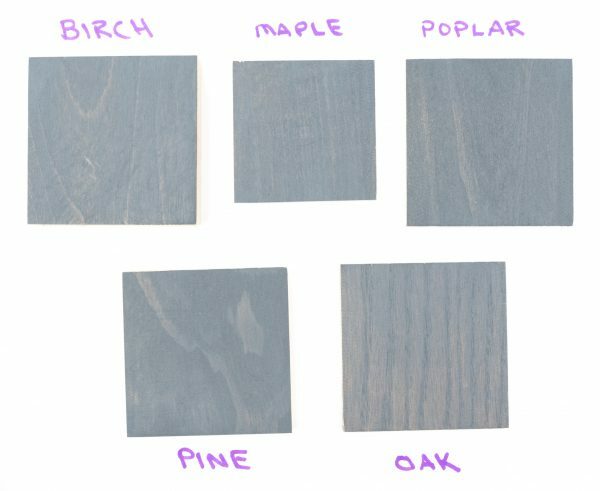 No matter what wood you’re working with, you’ll get the same charcoal grey color with just one coat. Can’t beat that! My second favorite color was Minwax Coastal Gray. It also created sufficient coverage with just one coat, and is a little lighter than the General Finishes. It has a slightly blue tinge to it, which is something to look out for if that’s not the color you’re looking for. Lastly, Varathane’s Weathered Gray turned out quite nice after a second coat was applied. It’s perfect for that rustic look, or for wood with a nice grain that you want to show off! 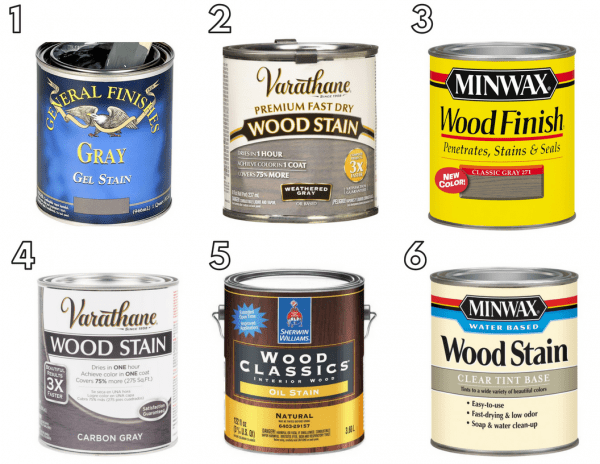 Which grey wood stain color is your favorite? I’d love to hear from you in the comments below! Such a perfectly timed post- thank you!!! Great job. I’m dealing with wanting the grain to show through on maple but still achieve a depth to my color.